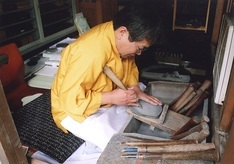 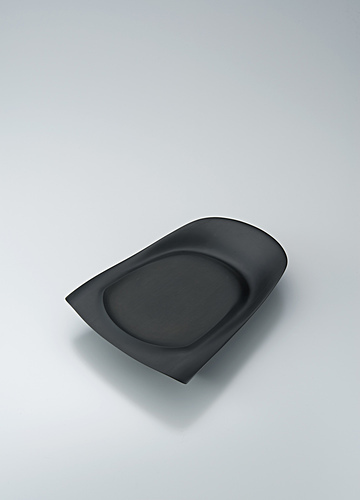 Not only do I want to improve and cultivate the techniques handed down by my predecessors, and pass them on to the next generation, but I also want to develop suzuri from a simple calligraphy utensil to a work of art as a “vessel imbued with heart” that expresses the spirit and aesthetic sense of the Japanese people. 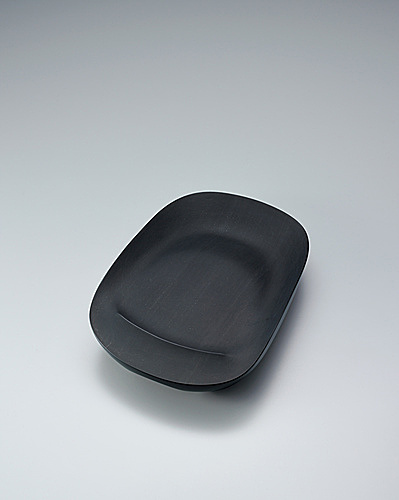 I do not want to just follow a Chinese style, rather I aim to elevate the value of suzuri toward a new cultural and artistic domain of Japanese style; with this hope, I carry out my day-to-day production. 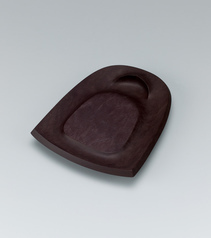 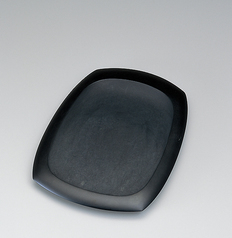 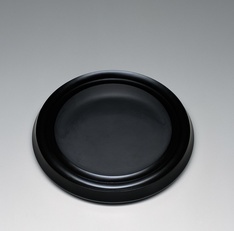 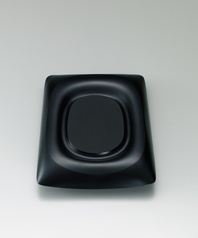 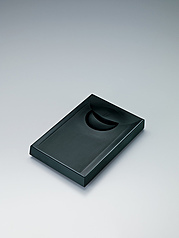 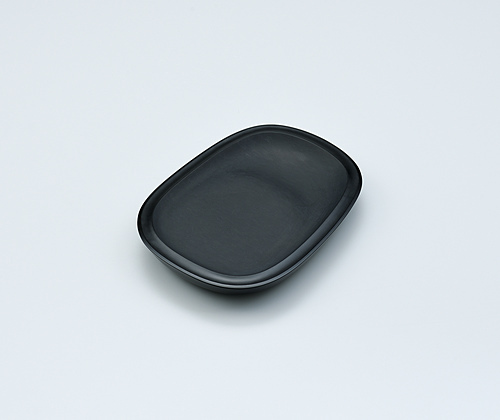 Purple inkstone with form like burial mound in shape of dōtaku.